More than 1400 years ago in Arabia the people were living very much in fear. They feared their neighbors. They feared other tribes. They even feared their idols. For this was the time before Islam. The Arabs were worshiping idols. In their ignorance they would bury their newly born daughters alive. As Islam began to spread among Arabs such cruel practices stopped. Islam taught love and peace. It taught kindness and respect. 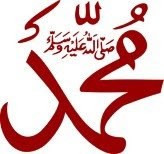 Holy Prophet Muhammad (pbuh) himself was a very kind and loving person. He treated every one, young and old, with kindness and respect. Because the Holy Prophet Muhammad (pbuh) was spreading the word of God. And he was changing, for better, the lives of many Arabs and because some Arabs felt that by the teaching of the Holy Prophet (pbuh) their old idols were losing power. They disliked Holy Prophet (pbuh) and planned to kill him. Every time they tried to kill him, they failed. This angered the enemies of Islam even more. So they began to harass him in every way they knew. One old woman made a habit of throwing rubbish on the Holy Prophet Muhammad (pbuh) whenever he passed from her house. The Holy Prophet (pbuh) had to pass that house daily on the way to the Mosque. Even when the old woman threw rubbish on him, he would pass silently without showing any anger or annoyance. This was a regular, daily event. should help him if his help is needed. The old woman was greatly moved by this kindness and love of the Holy Prophet (pbuh). By the example of greatness of Prophet Muhammad (pbuh), she understood that he was truly the Prophet of God and Islam was the true religion. She accepted Islam at once.